Kennedy Cooley, a Canadian teen, has become the first transgender player on his high school’s football team. Cooley said to CTV News that he transferred to Halifax West High School in Halifax, Canada for his senior year because he’d heard that students there would be more accepting of his gender identity than his previous school. Robert Cooley, Kennedy’s father, told ABC News that he hopes his son’s story will encourage other parents of transgender kids to embrace their differences. Gay Day cancelled…over a hug? Last week Brandon Hamilton and Barrett Morrison headed out on a casual summer day trip. 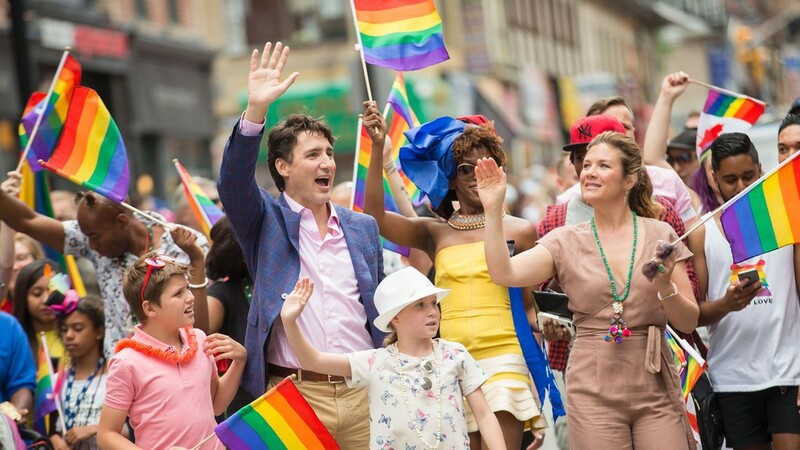 They visited Wonderland, an amusement park in Canada on the park’s annual Gay Day, an event organized by PFLAG Canada (Parents Families and Friends of Lesbians and Gays) to highlight LGBT issues. Since it was Gay Day, Brandon and Barrett felt they were in a welcoming environment at Wonderland. While waiting in line for the lazy river, they expressed a typical and commonplace display of affection for a couple by hugging. That’s when an employee of Wonderland instructed the couple to stop hugging because they were at a “family” establishment. Brandon and Barrett told the employee the admonishment was offensive and based on Canadian law, illegal. However the couple does not blame the employee. Brandon and Barrett want more employee training on how to handle discrimination complaints and to make Gay Day a park-wide event instead of just a booth by the entrance. 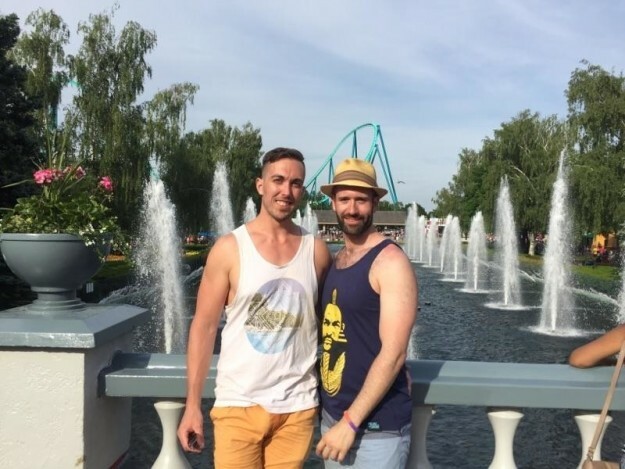 Check out Hayden’s List reviews for LGBT friendly amusement parks.